Smoked Salmon Dip is an easy recipe to make and works great as an appetizer, quick lunch, or late night snack! I ordered Smoked Salmon Dip as an appetizer at the restaurant in Hoonah Alaska when were there on our Alaskan Cruise recently, and oh my goodness. I knew right away that I was going to go home and make my own smoked salmon dip recipe! 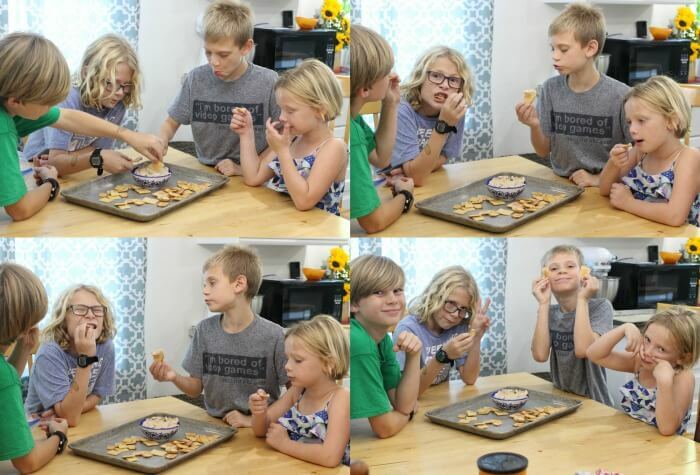 I served the salmon dip with our two ingredient cracker recipe and I barely even got any because the kids ate it so fast! We made ours from canned salmon, but you could use leftover salmon from baked salmon or after using our salmon marinade too! Salmon – We used canned salmon because it’s what we had around the house, but you’re welcome to use leftover salmon from last nights dinner, or any other cooked salmon you like. If you use a lox style salmon in your smoked salmon dip you may want to add less of the wet ingredients because there is a lot of moisture in lox already. Cream Cheese – I used full fat cream cheese, but any kind would work. 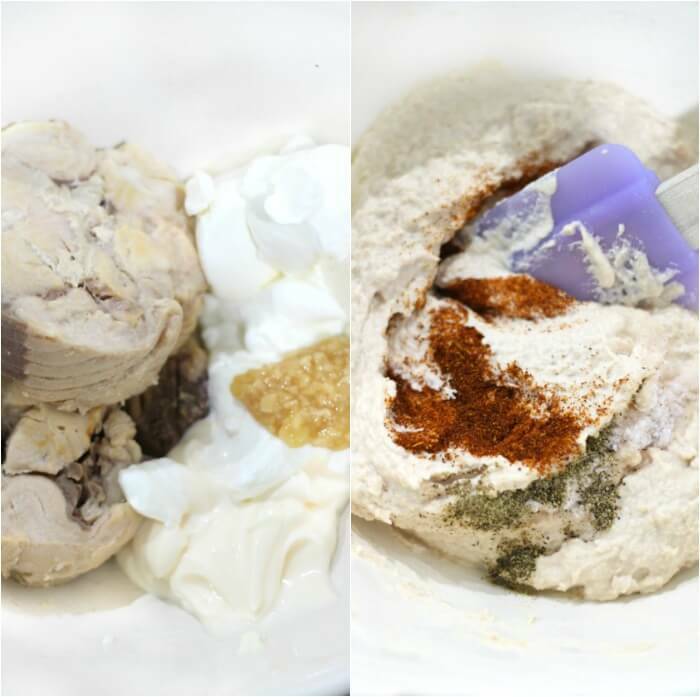 Sour Cream – Again, I used full fat sour cream, but you use what you prefer. Mayonnaise – Still again, we used full fat mayo, but do what works for your diet. Garlic – I adore the squeeze garlic for recipes like this, but fresh or even powdered will work in a pinch. If you use powdered, make sure to check your conversions. Lemon Juice – Lemon juice adds a little acidity to brighten up the smoked salmon dip. Spices – Just a pinch of this and a pinch of that to finish off our yummy dip. 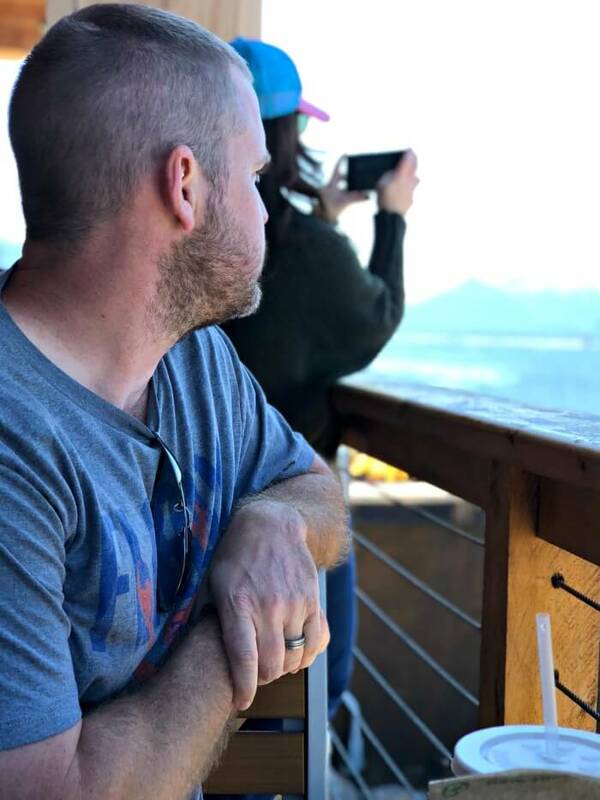 We had the most incredible experience on our Alaskan Cruise with Princess Cruises. While at our first stop in Hoonah Alaska we had lunch at Duck Point Smokehouse restaurant where we enjoyed smoked salmon dip, salmon pizza, brisket, and chili. We ate lunch on their back patio that overlooked the ocean and the mountains and we spotted whales at lunch! You guys! We spotted whales while eating lunch! I’m still in awe. 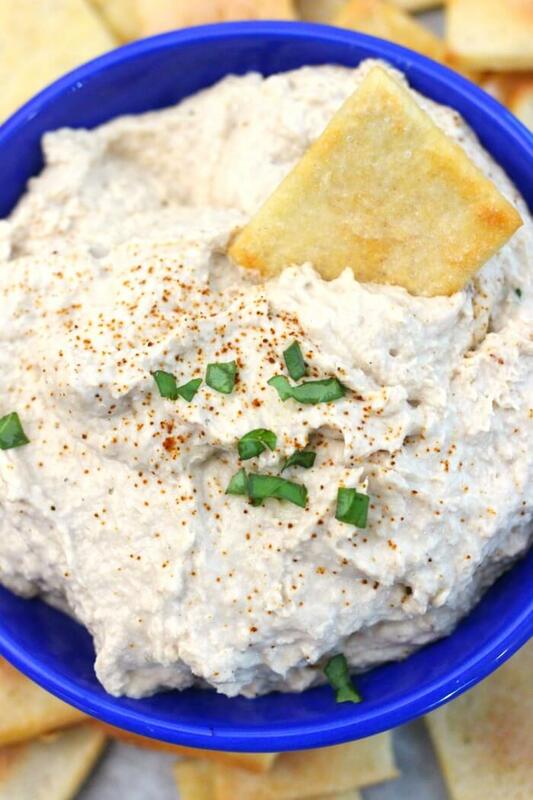 Smoked salmon dip goes great on this homemade cracker recipe (shown in the pictures!). We also like it on a sandwich or hoagie roll with a slice of cheese melted over top, or on toasted pieces of baguette. If you’re trying to keep your calories down, serve the smoked salmon dip with raw veggies like celery or carrots, and if you’re avoiding grains or gluten, these cheese crackers are a perfect solution. What kind of salmon for smoked salmon dip? 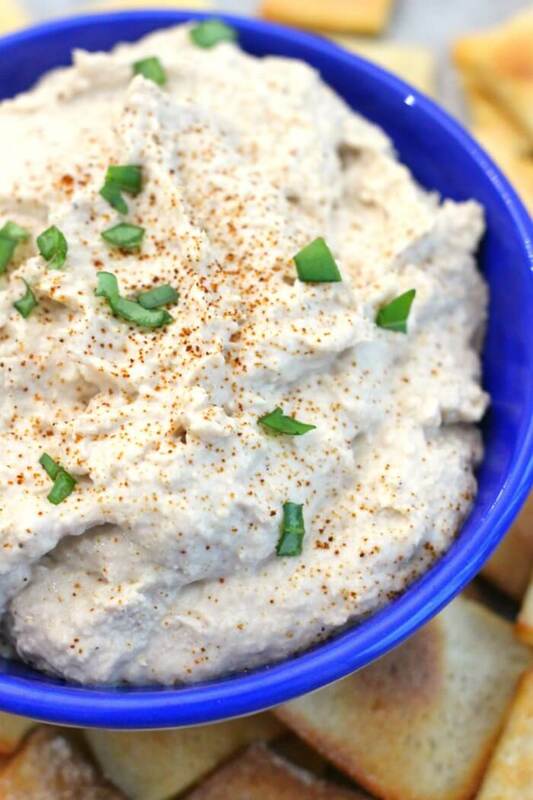 You can use any kind of salmon for this smoked salmon dip recipe. We used canned salmon because it’s what we had handy, but leftover salmon from last night’s dinner is fine, or dried salmon that you find in the vacuum sealed pouches is also good. Lox style salmon will work in this salmon dip as well, but you may want to use less of the liquid ingredients if you do as lox style salmon is very wet. Is smoked salmon dip healthy? Smoked salmon dip is very healthy. 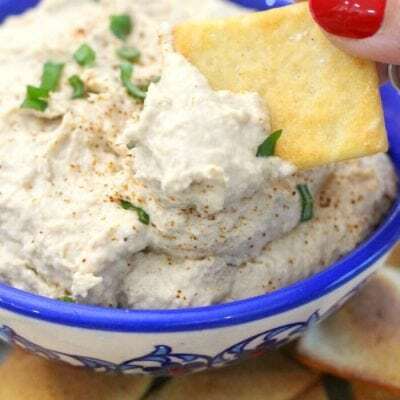 The type of diet you follow will dictate which version of the ingredients you use (full fat, low fat, serve with crackers or vegetables), but it is easy to make this smoked salmon dip healthy for any diet. Salmon is the main ingredient and tt is an excellent source of high-quality protein, vitamins and minerals as well as healthy omega-3 fatty acids. I wish I had the foresight to ship home lots and lots of salmon from our Alaskan Cruise! I ate salmon almost every single day we were there (it was so good) and didn’t even think about the fact that I live in Florida and it’s not very easy to get all the delicious salmon treats that are readily available in Alaska. Fortunately our market does carry pretty good canned salmon, and I found some at Costco as well – but boy oh boy, nothing beast the salmon like we had in Alaska. Guess I just need to book another cruise. Hah! (But seriously, I do). 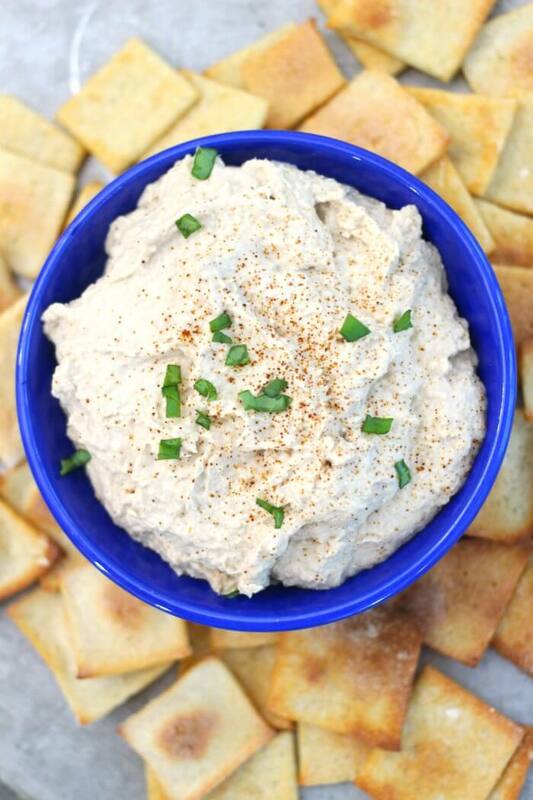 You can also watch us make this salmon dip (and cracker recipe) on YouTube! Make sure to tune in for all our live cooking shows! Using a food processor or stick blender, blend together salmon, mayonnaise, cream cheese, sour cream, garlic, and lemon juice until smooth. Stir in paprika, salt, pepper, and onion powder. 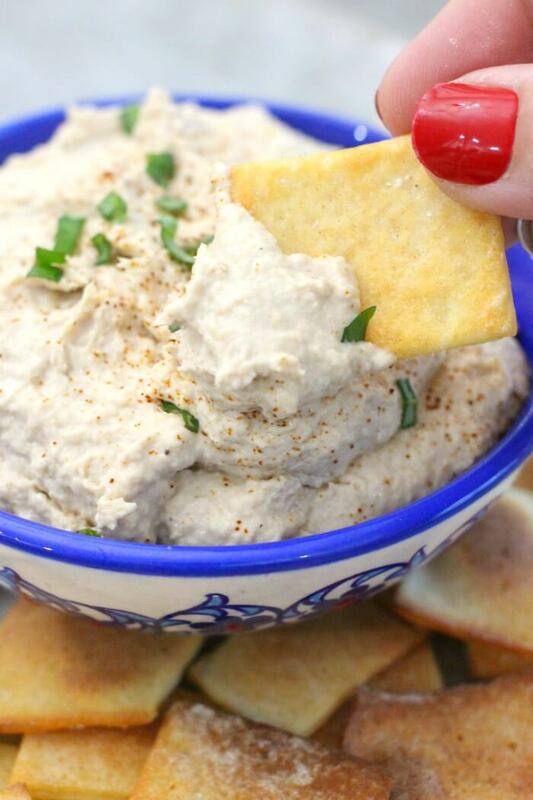 Serve with our easy two ingredient cracker recipe (or store bought! ), fresh vegetables, or spread onto a baguette. Obviously this is intended to be a smoked salmon dip, but never fear, if your salmon isn't smoked it will still yield a delicious salmon dip! 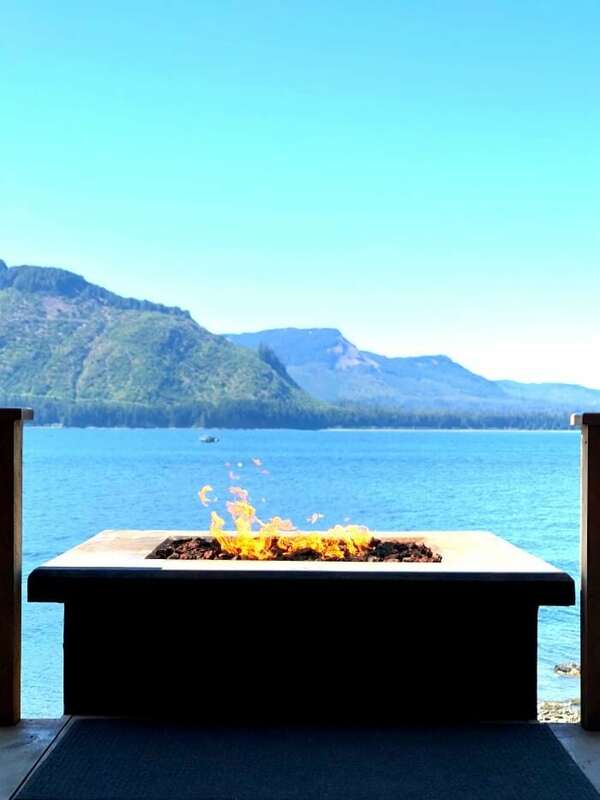 « Hoonah Alaska – Icy Strait Point – Everything to do in Hoonah Alaska! The garlic and lemon are so perfect here! 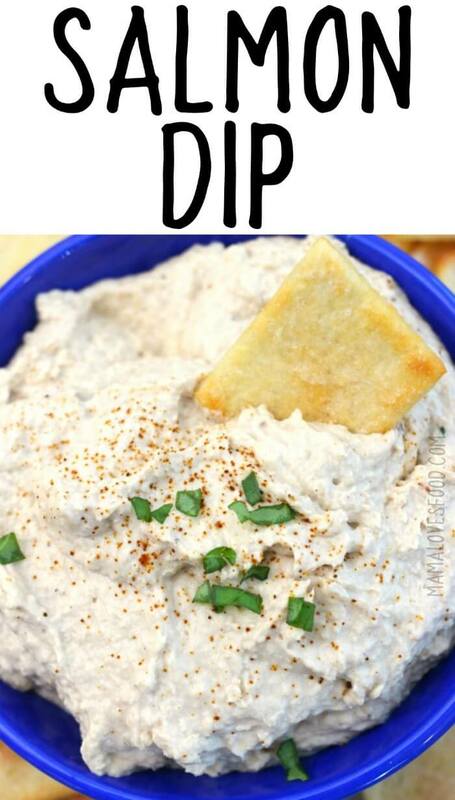 Total crowd-pleasing dip for sure! This is such an upscale dip for entertaining. Thanks for a great recipe! Pretty sure this is going to be my son’s new favorite dip! Yes, regular paprika will work great!